Do you know anyone in your life who cannot make a plan until the last minute? Do you know someone who seems to be always in and out of relationships? Do you know someone who changes homes like most people change their clothes? Do you know someone who suddenly disappears? Do you know someone who can’t keep a job? Do you know someone who blows up suddenly? Do you know someone who is accident prone? Do you know someone who always changes their mind? Do you know someone who is an unusual thinker? Or wears unusual clothes? Or dances to the beat of a different drum? Have you had times when you need to break out? Or break down? Or break up? Or break free? Have you ever had a breakthrough? If you relate to any of these things, you or someone you know has experienced the strong influence of the planet Uranus. Let’s talk about some of the energies one can experience if he or she has a strong Uranus aspect in his natal chart or is undergoing a strong Uranus transit over a natal planet. Let’s start with the Sun. The Sun we can say represents the life path, or the “quest of the hero” as typified in ancient myths. In the course of a lifetime, a person journeys down his or her own particular path, and of course is met by various obstacles, choices, serendipitous events, etc. The Sagittarian might be working on feeling free to explore. The Virgo may be working on his or her boundaries. The Capricorn may be working on feeling worthwhile in society. When the planet Uranus meets the Sun, you are suddenly jolted, hit by a bolt of lightning, and a change is thrust upon you. It may be a new possibility, or a door opening, or a choice someone else makes that suddenly affects you. It may be a sudden change of circumstance that catapults you into a new direction. But whatever the manifestation, Uranus is reminding us of the true path of our unique Sun sign, and how we need to change course to get there. Depending on the house position, sign, and any additional aspects, Uranus/Sun transits can bring possibilities into our lives that were previously unforeseeable. For the soft aspects, the trine and the sextile, the new influences in your life will lift you up and quicken your pace, facilitating your journey. The transit period may be a time of temporary instability, or it may be a time of great excitement, and freedom. Whatever the change, it will be what your soul has yearned for. Let’s go to the Moon. The Moon is our receptive, emotional nature. It is where we find security. It is the mother, it is the stomach, it is the past, it is the home. And so Uranus stumbles upon the Moon like an earthquake, shaking the ground that we stand on, taking away that which makes us secure, We feel emotionally unstable. We may cry a lot. We feel that we don’t know what to expect from those closest to us. We may have to move. We may move from place to place. We cannot settle down. The “clinging” moon is awash in emotional turmoil. Ah, but why? Have we become complacent? Are we emotionally insecure? Uranus brings us new ways of feeling. Maybe we will invite new friends into our home. We will want new blood, new ideas, a change in our social order. You will come out of this transit with a new security based on having explored and traversed your own emotional landscape and you will be stronger for it. All this is Moon/Uranus. Now Mercury is the mind. Uranus is said to be genius. 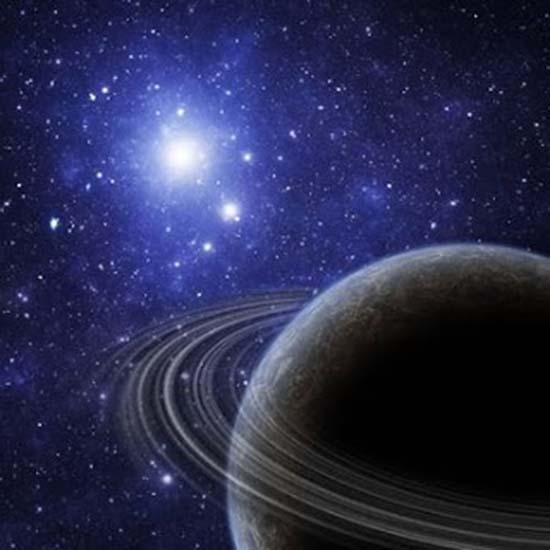 When Uranus hits our Mercury, our thoughts become electric, pulsating with new ideas. We may be nervous, unsteady, but this opening allows us to see the world in a different way. Perhaps we can come up with a new invention or a new way of expressing ourselves. We may be inspired to get up and go … a short trip here or there, just to get new information. This aspect reminds me of the joke “My apartment is so small, I have to step outside to change my mind.” If you have Mercury/Uranus, I hope your humble abode is large enough to accommodate lots of activity. When Uranus hits Venus, sparkle is the keyword. Get excited, meet the love of your life, have a whirlwind romance, break up. That’s Uranus. Musical chairs. If the transit is a hard one, the square or the opposition, the universe will be like that guy on the dance floor who says “May I cut in?” just when you’re dancing with the person of your dreams. Try to trust whatever happens because the force is with you, and it’s party time. With the positive aspects, the trine and the sextile, relationships will have a sparkle and an independence that can form a lasting bond based on freedom and integrity. You may consider different ways of loving, different possibilities for relationship. Uranus brings out the truth in us. It hones the individual within us. If you are not happy in a relationship you are already in, this it the time for your true self to come out and admit it. Now Uranus on Mars is my favorite. Being that I myself have it in my natal chart I am an expert. Here’s the person who can’t let you know if he can meet you at a certain time and place next week. Why? Because he knows that every action he takes creates change. Therefore, he never knows what’s coming next. Well, this can be extremely irritating for those people around him. Most people like to make plans, and the Uranus/Mars person basically can’t. They truly live in the moment, and the sooner you can appreciate this about them, the better you’ll get along with them. Otherwise they’ll drive you nuts. So, when Uranus hits your Mars, IF YOU ARE A PERSON WHO LIKES TO HAVE A PLAN, LOOSEN UP. Get with the rhythm, feel the subtle changes that your actions provoke, and get ready for a change of direction at any moment. This is the aspect that is notorious for accidents. I believe, however, that if you are in tune with your own biorythms, your timing and reflexes can be amazing under Mars/Uranus. ( I read that Mars/Uranus aspects are prevalent in the charts of martial artists, which does not surprise me. Uranus brings sudden change and timing to Mars in the subtle complexities of the martial arts.) Uranus/Mars can also make you fiercely independent, and this is another reason this person can’t be confined. He needs to know he can be free at any moment to go. Jupiter/Uranus, according to the great Reinhold Ebertin, is called the “Thank the Lord” aspect. I love that. Sudden changes in fortune. Good luck. Why is it called the “Thank the Lord” aspect? It’s that great sigh of relief! Jupiter, being expectation, and Uranus being sudden relief thereof. (Now I suppose it can also be a bubble being burst.) 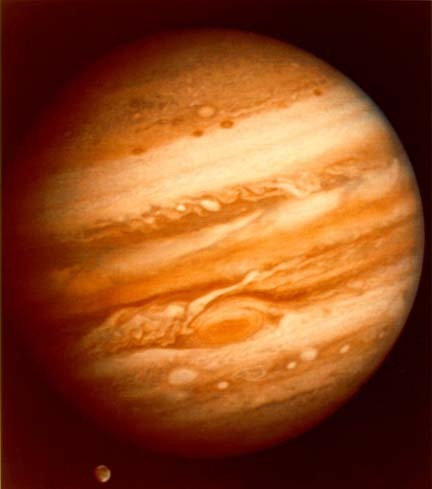 Another possibility for this aspect is the rebellion (Uranus) against traditional religion (Jupiter). And now, Uranus, the rebel, and Saturn, the jailor! Wow. These two are strange bedfellows to be sure. Both of these planets have shared the rulership of Aquarius, that notoriously eccentric, independent sign. The best way I can show you how these seemingly disparate planets relate is to think about the rebellious teen who in order to feel special seeks to become a member of the “in group” … peers who support his or her uniqueness in some fashion… only to find that this in-group becomes as hierarchical and prison-like as the rest of those two enslaving bureaucracies in their lives, their parents and the school system. We are always dancing between freedom and imprisonment, whether it be in our own mind, in relationship to another, in our job, or in the circumstances of our life. Uranus coming upon Saturn makes us aware of how trapped we feel in some way, shape or form, and how we long to feel untrapped. But this dance between freedom and responsibility is eternal. And it takes two to tango, as they say. By the way, if you are a drummer, you will be able to create an amazing rhythmic grid for the other musicians, creating both excitement and security. Uranus transits to Neptune? True inspiration. A big-time connection to the collective unconscious. Madness? Or artistry? Don’t let it scare you, just enjoy and honor the experiences. Uranus and Pluto? Like an earthquake meeting a volcano. The two planets of change… one from out of the blue, and one from deep inside. These forces are so strong that you just have to give into them. One friend of mine has Uranus/Pluto conjunct in her natal chart, square to Mercury in the 3rd House…. Her thoughts are explosive. She cannot control them. She suffers from dyslexia, as words are completely jumbled. And so I have given you a brief insight into the excitement, change and havoc that Uranus can create. Whatever the journey, strap yourself in because it’s going to be one wild ride. But guess what? Afterwards, you will feel freer.